Header: Robin's Food & Drink Blog. Blogging for the serious foodie. All photos by Robin Goldsmith. 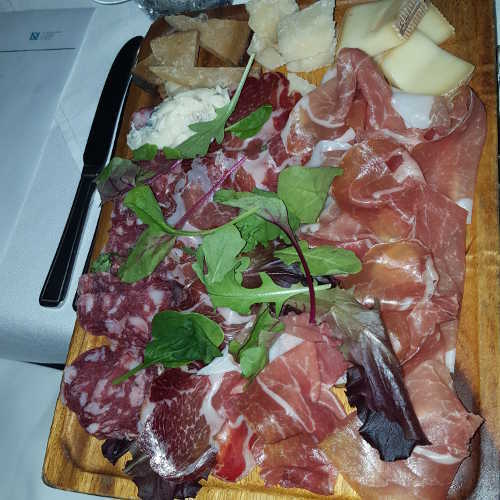 Receiving an invitation to dinner at an Italian restaurant is always welcome and difficult to say ‘no’ to, but this was an invite with a difference! Top class food & stunning New Zealand wine! All photos by Robin Goldsmith, unless otherwise stated. What an evening! Within the welcoming walls of Eurocave, the brand-leading wine storage and accessories company, Liam Steevenson MW of The Far-Flung Wine Co. led a food and wine matching session that delighted everyone who attended. There’s been a good deal of talk recently in social media and newspapers about whether wine critics’ advice is worth its salt and whether food and wine matching makes any sense, has genuine scientific worth or is just a load of pretentious nonsense? First and foremost, wine should be enjoyed, so if you happen to like drinking Château Plonk with your vindaloo, that’s fine. Yet certain combinations do seem to taste better than others and some combinations are really quite unpleasant. Consider the following. When you bite into a piece of meat or fish and take a sip or swig of wine from your glass, the chances are that some of the meat juices or even bits of fish are still in your mouth. 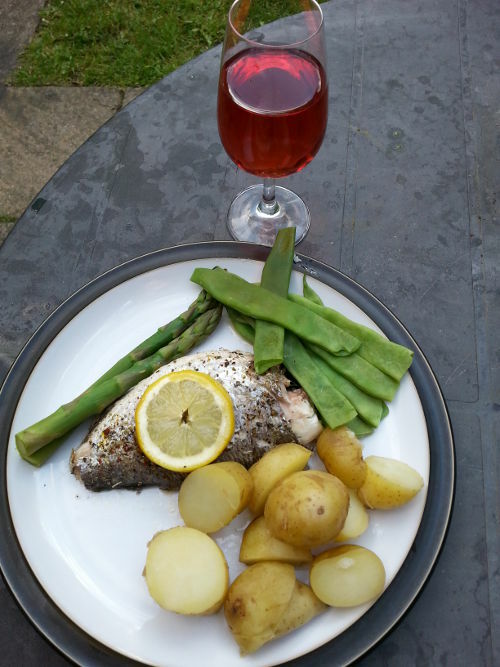 Treat wine in a similar way to a sauce or gravy and all the flavours mingle together. Now, if you are lucky enough to be eating grilled fillet of sea bass, would you want it smothered in gravy? No – because it would be horrible! It would simply not taste right, the gravy ruining the flavour of the fish. This can’t be just a subjective observation, as surely most people would arrive at the same conclusion, so perhaps there is, dare I say, a more scientific reason for this. 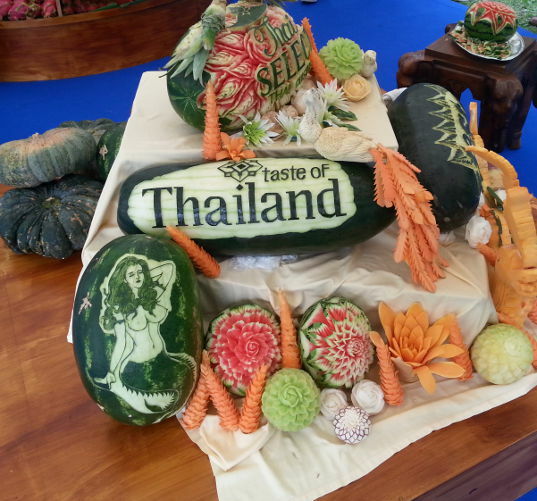 The event could have had the strap line “Festival of Colourful Food Displays”, as anyone who headed over to the Thai area couldn’t have failed to notice the vibrant exhibits of Thai food available, especially the fruit and veg. 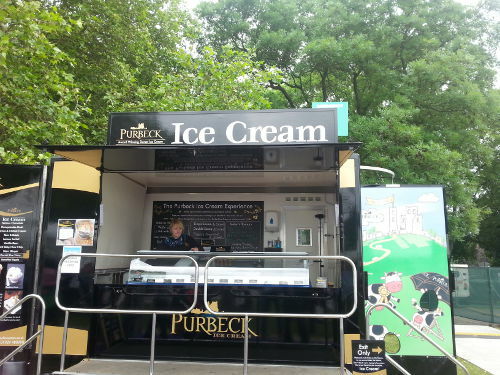 Purbeck Ice Cream and Simply Ice Cream are two of my favourite producers of the frozen stuff and it’s always good to see them and to sample their delicious flavours. Although they did not have their full ranges available, there was plenty of chocolate ice cream to try, so thanks for the sumptuous scoops. 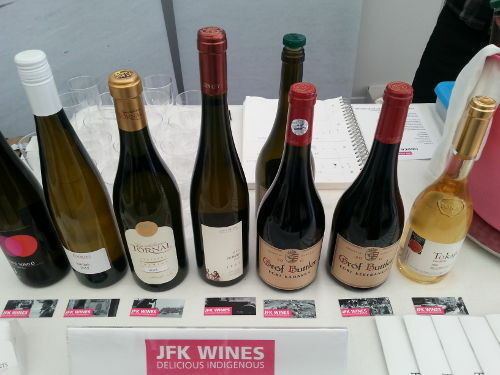 Hungarian wine deserves to be better known in the UK, as the country produces some great examples and I tried a glass of Royal Somló J white at the JFK Wines stall. This was an unusual dry wine, the colour being reminiscent almost of a Sauternes. 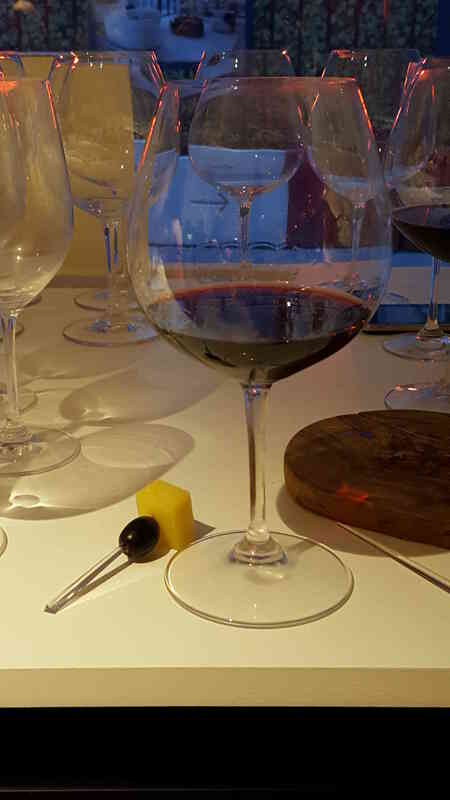 The minerality stood out for me (before I’d even sussed that the grapes were grown on volcanic soil) and there were subtle flavours of stonefruit with a touch of salinity too. This is a versatile food-friendly wine which, as I found out, is served in Michelin-starred restaurants. The word “négociant” will be familiar to wine fans, being a French term for a wine merchant who typically buys in grapes from different vineyards, blends them and sells the resultant wine under their own name. Négociants are particularly commonplace in Burgundy, for example. 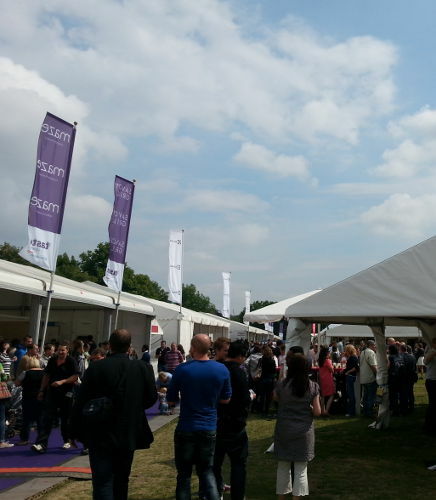 Digby Fine English wines uses the négociant model to craft their own distinctive brand. They collaborate with quality vineyards in the South of England to produce fine and elegant sparkling wines from Pinot Noir, Pinot Meunier and Chardonnay, using the méthode Champenoise. The resultant wines have an unmistakeably English character, full of finesse and crisp acidity with an aromatic and fruity character. 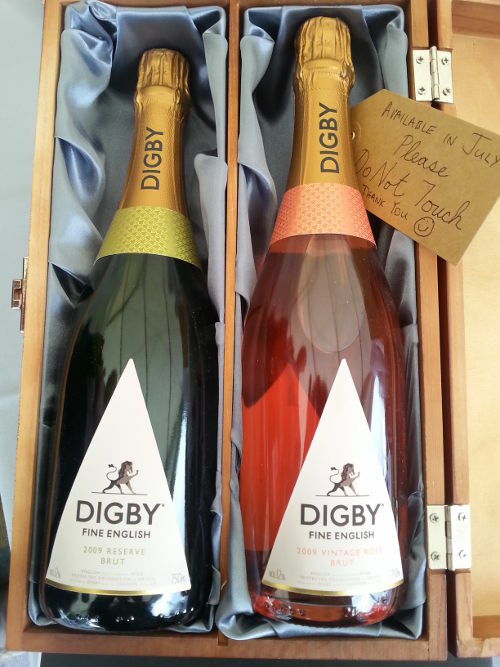 Deservedly, at the Decanter World Wine Awards 2013, Digby Fine English Brut Reserve 2009 won a Silver medal. Check out my reports, reviews and recommendations on The Write Taste, including my latest Tipple of the Month.